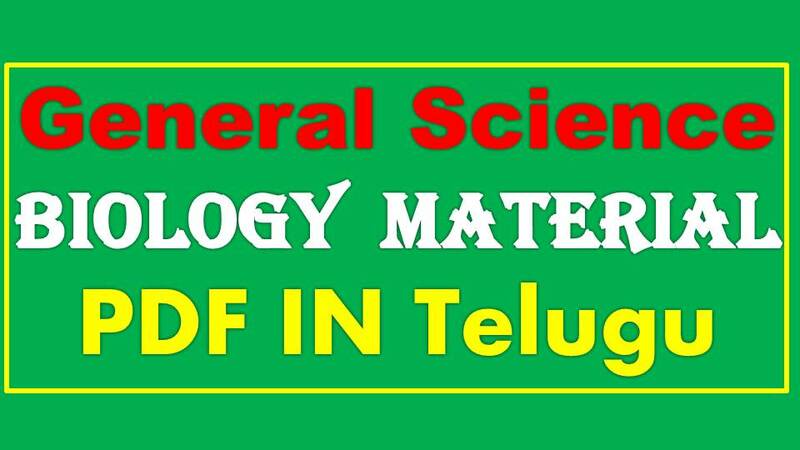 General Science Biology Material PDF in Telugu: Hi Viewers welcome to ssc-ibps.com, in this article we are providing the study material for the Biology in Telugu PDF free download. 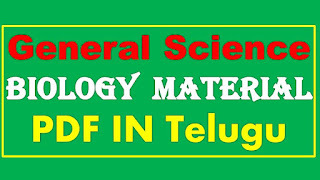 General Science Biology Material is useful who are preparing for TSPSC VRO, Group IV, Constable, SI, And Railway Police Constable, SI Exam preparing who in Telugu language. Maximum numbers of people are searching for the Telugu Study material for government written test. From today onwards our team will provide Study Material, Previous year Bits, Model Papers, Practice Papers and some Important Tricks for preparing for exams, how to crack the exams easily with simple tricks.